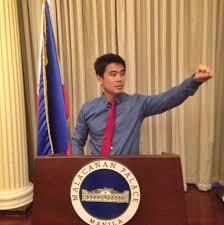 Jimmy Bondoc made a petition in change.org. to delete Facebook. He expressed further that Rappler and Vera Files can’t be fact-checkers. Opposite to the claims of Facebook that they were certified as information police or third party fact-checkers in the Philippines linked to a non-partisan international fact-checking network. Their primary responsibility is to ensure that their accuracy in story, check the facts and its rate. The petition has reached 8, 977 signs with a goal of 10, 000 signs. I GUARANTEE YOU, IF THIS HAPPENS, I WILL PERSONALLY COMMENCE A NATIONWIDE PETITION TO DELETE FACEBOOK I ALSO ASSURE YOU THAT I WILL BE SUPPORTED STRONGLY. I ALSO ASK COMMENTERS TO KINDLY SUGGEST ASAP A NEW SOCMED PLATFORM THAT WE CAN MIGRATE TO.